Located just North of the Downland village of Ditching which is included within the South Downs National Park, is a rare opportunity to acquire a substantial, detached property in a sought after, enviable location requiring some modernisation throughout. With a footprint of 1810 sq ft (including the garage TBV) and thought to date circa 1920 (TBV), this property set well back from the road on a very good-sized plot, in a semi-rural location boasting panoramic views of the surrounding countryside. The property measures circa 1483 sq ft and offers the potential for 3/4 bedrooms and 3/4 reception rooms the arrangement of which is very versatile. The accommodation is currently arranged as 4 bedrooms and 3 reception rooms with 1 bedroom downstairs alongside a ground floor shower room and separate WC. Completing the ground floor accommodation is a kitchen/breakfast room, walk in larder and boot room. Upstairs there are 3 bedrooms and a bathroom. All the reception rooms and the kitchen/breakfast room are either dual or triple aspect ensuring the internal spaces enjoy an abundance of natural light. Outside there are several outbuildings including a 16ft (TBV) detached double garage and further workshop. To the front of the property a long gravelled driveway meanders through an immaculate garden past specimen trees, plants, shrubs an ornamental pond and a summerhouse up to the property. Both the front and rear gardens are enclosed by a mixture of fenced and hedged borders. The rear garden is mostly laid to lawn with some mature trees and flowerbeds and a greenhouse. Agents notes: Oil fired central heating. Septic tank. Double glazed throughout. Numerous outbuildings. EPC rating E. No chain. The picturesque, traditional East Sussex village of Ditchling is nestled at the foot of the South Downs and boasts the much-loved Ditchling Beacon as a majestic backdrop. Revered by walkers, cyclists, travellers and art lovers alike, the village offers a number of pubs, caf	s and shops and is home to Ditchling Museum of Art + Craft, celebrating the work of 20th century inhabitants such as Eric Gill, Edward Johnston, David Jones, Frank Brangwyn and Ethel Mairet. The coastal, business and entertainment city of Brighton & Hove is some 7 miles distant to the South and Lewes lies just 7 miles to the East. Lewes is the County Town of East Sussex and Lewes mainline railway station offers a fast train service to London Victoria (approximately. 1hr 10 minutes). 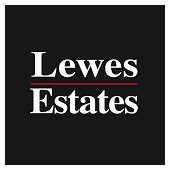 The A27 lies a short distance to the south of Lewes and provides fast access to the A23/M23, Gatwick Airport and the national motorway network.